was born in Ukraine. 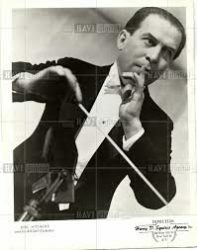 His radio show, the Hour of Charm, ran from 1935-46, featuring “Evelyn & Her Magic Violin,” who eventually became Mrs. Spitalny. He died at age 79, succumbing to cancer Oct. 11 1970. On this day in 1903, actor Dean Jagger was born in Lima Ohio. Oscar winner for Twelve O’Clock High, Jagger played the principal on TV’s Mr. Novak in 63-64. Hie last guest appearances were on Hunter, The Waltons & St. Elsewhere. Jagger died at 87 February 5 1991 due to heart disease. was born in Toledo. He joined Spike Jones in 1943 and helped develop the schtick that made The City Slickers so popular. 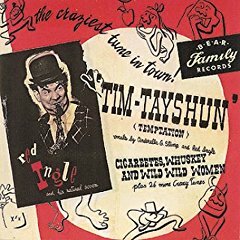 After leaving in a dispute over money, Red wrote a hayseed parody of Temptation (Tim Tay Shun) that was recorded by Jo Stafford on the fledgling Capitol label and sold three million copies! Red died Sept 7 1965 at age 58, victim of an internal hemmorhage. was born in New York City. Bushkin performed and recorded with such greats as Fats Waller, Eddie Condon and Billie Holiday. While a member of the Tommy Dorsey band, he co-wrote the hit “Oh! Look at Me Now” which helped kickstart Frank Sinatra’s career. He died at 87 Nov. 3 2004 due to pneumonia. 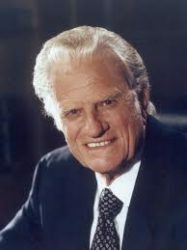 On this day in 1918, evangelist Billy Graham was born in Charlotte North Carolina. As a preacher, he held large indoor and outdoor rallies with sermons broadcast on radio and television; some were still being re-broadcast into the 21st century. In his six decades of television, Graham hosted annual “Crusades,” evangelistic campaigns, which ran from 1947 until his retirement in 2005. He died Feb 18 2018 at age 99. On this day in 1922, trumpeter Al Hirt was born in New Orleans. A self-proclaimed “commercial” musician, he was one of the most successful instrumentalists of the 1960’s, Java & Sugar Lips among his hits. He died April 27 1999 at age 76, due to liver cancer. was recorded on RCA Victor. It became King’s theme. Matt Crowley, Curtis Arnall, Carl Frank and John Larkin played Buck in the radio serial over the years (1932-1947). On this day in 1937, The Vaseline Program aka Dr. Christian debuted on CBS radio. Jean Hersholt played the part of the kindly, elderly Dr. Christian who practiced on the air until 1954. Laureen Tuttle, Kathleen Fitz, Helen Kleeb and Rosemary De Camp played his nurse, Judy. Sponsors of the show included Vaseline (petroleum jelly, hair tonic and lip ice). On this day in 1938, the first broadcast of “This Day is Ours” was heard on CBS radio. Eleanor McDonald, played by Joan Banks and later by Templeton Fox, had all kinds of problems. Her child was kidnapped, she lost her memory, helped a friend find a killer, etc. The soap opera ran for two years. Also this day in 1938 radio station “W9XZY” transmitted a facsimile of the St Louis Post-Dispatch by radio. 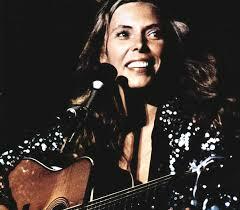 On this day in 1943, singer/songwriter Joni Mitchell was born Roberta Joan Anderson at Fort McLeod, Alberta. In 1967 she moved to New York, a year later her career took off when Judy Collins recorded her song Both Sides Now. After she moved to Los Angeles, she wrote The Circle Game (recorded by Tom Rush) and her monster hippy anthem Woodstock (recorded by Crosby, Stills, Nash & Young). A few years ago Joni was reunited with the daughter she gave up for adoption in the early 1960s. folks dropped in a quarter. On this day in 1947, Billboard magazine began listing the top 15 popular records. Only 10 songs had been featured previously. On this day in 1948, an adaptation of the mystery play, “The Storm” became the first television production of Studio One on CBS. Margaret Sullavan starred — for $500. Studio One, which ran for one season on radio the year previous, continued as an anthology TV drama showcase until 1958. On this day in 1949, Red Foley was in Nashville to record “Chattanoogie Shoe Shine Boy,” the first million-selling country hit to have been recorded in “Music City.” It also topped the Billboard Pop Music chart for two months. On this day in 1951, rocker/songwriter Kevin Scott MacMichael was born in New Brunswick. He helped put together & played with the popular British group Cutting Crew. MacMichael succumbed to kung cancer Dec. 31 2002. He was 51. Also in 1951, Frank Sinatra and ‘the love of his life’ Ava Gardner were married. Ava is credited with turning Frank into a more mature singer. She filed for divorce in 1954. On this day in 1954, CBS introduced “Face the Nation”, its entry in television’s Sunday morning political interview sweepstakes. It is still on the air 63 years later. On this day in 1956, Elvis Presley‘s Love Me became the first song to go Gold without being released as a single. It was, instead, an EP (extended play) 45 rpm, with three other songs on it: Rip It Up, Paralyzed and When My Blue Moon Turns to Gold Again — on RCA Victor. 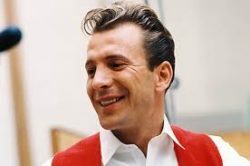 Also in 1956, in Nashville, Ferlin Husky recorded his signature crossover hit “Gone.” It quickly became his second country chart #1 and a Top 10 entry in pop music. 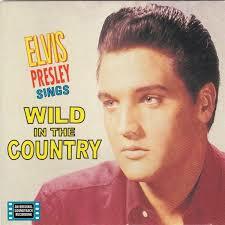 On this day in 1960, Elvis Presley recorded the title song from his next film “Wild In The Country” at studios in West Hollywood. That same day his next smash hit “Are You Lonesome Tonight?” hit the stores. On this day in 1961, Ray Charles was arrested for possession of drugs after police searched his hotel room in Indianapolis and found heroin and marijuana. On this day in 1963, The Beatles went to Ireland to make their only two appearances ever in the country, playing two shows at Dublin’s Adelphi Cinema. was born in Maywood CA. She was Kimberly on the sitcom Diff’rent Strokes. Dana committed suicide by overdose May 8 1999. She was 34. On this day in 1966, Walt Disney was admitted to a Burbank hospital where his left lung was removed. Despite the surgery, the cancer from a tumor discovered just five days earlier had spread quickly, and he died five weeks later. On this day in 1967, the non-profit Corporation for Public Broadcasting came into being when President Lyndon Johnson signed the authorizing legislation. It is the agency through which US government funding reaches public TV stations. On this day in 1968, The Doors were banned from performing in Phoenix, after Jim Morrison reportedly mooned the audience. Also in 1969 at 6:00 p.m., Vancouver’s CKLG 730 AM began to roll the syndicated History of Rock & Roll during a BBM ratings period. It paid off bigtime and CKLG produced its one and only # 1 rating over the market’s perennial winner, CKNW. 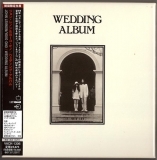 Still in 1969, John & Yoko released their 2nd joint LP “Wedding Album” in the UK. On this day in 1970, the head of MGM Records, Mike Curb, announced the dropping of a large number of acts which, in his words, “exploit and promote hard drugs through music.” But guitarist Eric Burdon freely admitted drug use and was not dropped because his group ‘War’ was still selling records, thus making a mockery of the whole exercise. Also in 1970, “Does Anybody Really Know What Time It Is?” was released by Columbia. It became the third tune by Chicago to hit the pop music charts, after Make Me Smile and 25 or 6 to 4. On this day in 1975, Elton John started a three week run at No.1 on the Billboard album chart with ‘Rock Of The Westies’, the singer’s seventh top seller. On this day in 1976, the No. 1 Billboard Pop Hit was “Tonight’s the Night (Gonna Be Alright)” by Rod Stewart. On this day in 1976, NBC TV aired the classic 1939 film “Gone With the Wind” over two nights. Attracting a massive 65 percent of all viewers it was the highest-rated TV show in history .. at least until ABC’s miniseries “Roots” the following year. On this day in 1979, the No. 1 Billboard Pop Hit was “Pop Muzik” by M. The performer’s real name is Robin Scott. This was his only song to make the Hot 100. On this day in 1980, actor Steve McQueen succumbed to lung cancer at age 50. Before a great big screen career he established his undoubted star quality playing bounty hunter Josh Randall in two TV series, Trackdown & Wanted: Dead or Alive. On this day in 1981, Hall and Oates started a two week run at No.1 on the US singles chart with ‘Private Eyes’, the duo’s third chart topper. Also in 1981, The Kingston Trio taped their reunion concert for PBS-TV at Los Angeles’ Magic Mountain theme park. On this day in 1986, singer Willie Nelson made a guest appearance on the NBC TV series “Miami Vice,” playing a corrupt police officer. 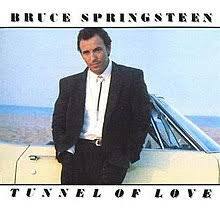 On this day in 1987, Bruce Springsteen‘s Tunnel of Love was the #1 album in the U.S. The rest of the top-five for the week: 2)-Bad (Michael Jackson); 3)-Dirty Dancing (soundtrack); 4)-Whitesnake (Whitesnake); 5)-A Momentary Lapse of Reason (Pink Floyd). Also in 1987, Tiffany became the youngest act to score a US No.1 single since Michael Jackson (‘Ben’, in 1972) with ‘I Think we’re Alone Now’. On this day in 1988, singer John Fogerty won his self-plagiarism court battle with Fantasy Records. The label claimed Fogerty copied his own song, “Run Through The Jungle” when he wrote “The Old Man Down The Road”. On this day in 1991, actor Paul Reubens, better known as Pee Wee Herman, pleaded no contest to an indecent exposure charge. He had been arrested in Sarasota, Florida, for exposing himself in an adult movie theatre. He was sentenced to 75 hours of community service. Also this day in 1991, rocker Frank Zappa was diagnosed with prostate cancer. He died two years later, just short of his 53rd birthday. On this day in 1992, actor Jack Kelly died at age 65 following a stroke. 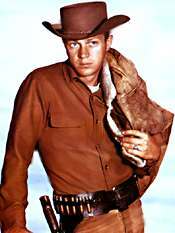 He played Bart Maverick (cousin to Bret) on ABC TV’s Maverick series, taking over the lead when James Garner left in a salary dispute. died in Britain at age 92 from pneumonia. Moving to England in 1938, she was the first black performer to get a long-term contract with BBC radio, and made over 70 records with Decca. 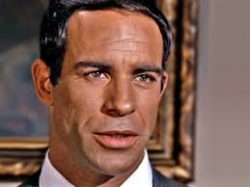 Also this day in 1993, actor Charles Aidman died of cancer at age 68. He took guest roles in episodic TV over 35 years, ending as narrator on The Twilight Zone in the mid-80’s. On this day in 1994, jazz trumpeter Milton “Shorty” Rogers [Rajonsky] died at age 70. He composed the music for some successful TV series, including The Partridge Family, Starsky & Hutch, The Rookies, The Love Boat & Fantasy Island. Also in 1994, WREK Atlanta operated by the students of Georgia Tech became the first radio station anywhere to simulcast their on-air signal on the Internet. On this day in 1995, comedian Slappy White died at 74 from a heart attack. He had been a regular on Sanford & Son. He appeared often on The Flip Wilson Show, The Redd Foxx Show, Ed Sullivan & the Tonight Show. Also this day in 1995, The Captain and Tennille (Daryl Dragon and Toni Tennille), hitmakers from the 1970s, renewed their wedding vows in Virginia City, Nevada. It was their 20th anniversary. Still this day in 1995, Eric Clapton was at Buckingham Palace to receive the Order of the British Empire (OMB) from Prince Charles. Again this day in 1995, Madonna‘s album “Something to Remember” was released. died at age 85. His Sunday music show on CBC Radio, Gilmour’s Albums, ran for more than 40 years. Also in 1997, The Spice Girls sacked their manager Simon Fuller and his 19 management team. He has since gone on to produce American Idol for FOX TV. On this day in 1998, Little Jimmy Dickens celebrated a historic milestone when he appeared on the Grand Ole Opry in a performance that marked 50 years as a member of the show’s cast. On this day in 2000, country star Garth Brooks filed for divorce from his wife of 13 years Sandy. Also this day in 2000, Doug Nelson, the bassist in blues artist Jonny Lang’s band died after being hit by a truck while walking on a rural highway in Minnesota. Nelson was 46.
died of lung disease at age 84. 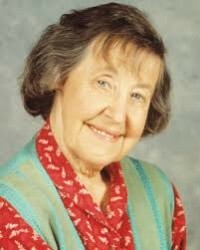 She was cast as a loveable eccentric in the TV series “Northern Exposure” and “Seventh Heaven”. lost his battle with colon cancer at age 85. 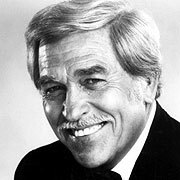 A veteran of the MGM bigscreen musicals, he was a regular on CBS-TV’s ‘Dallas’ throughout the 80’s. Still in 2004, Elton John turned the air blue live on BBC Radio 1 using the words; f****ing, w**k, and t**s. The singer was a guest on the Chris Moyles breakfast show. On this day in 2007, Kenny Chesney won Entertainer of the Year and Carrie Underwood won as Best Female Vocalist at the annual Country Music Association Awards in Nashville. Also this day in 2007, despite limited distribution through only Walmart, Sam’s Club & the band’s website, The Eagles‘ “Long Road Out Of Eden” sold more than 700,000 copies in its first week of release, making it #1 on the Billboard 200. On this day in 2008, Gene Simmons of KISS won $500,000 for the Elizabeth Glaser Pediatric AIDS Foundation during his appearance on Are You Smarter Than A Fifth Grader? That’s the most earned by any celebrity guest on the FOX TV game show. On this day in 2012, singer & vocal group Hall of Famer Cleveland Duncan, who sang lead tenor with The Penguins on Earth Angel, their only Top 40 hit (it sold 10 million copies in 1954-55), died at age 78. On this day in 2013, tough guy actor Paul Mantee, who was featured on CBS-TV’s Cagney & Lacey as Det. Al Corassa, died at age 82. On this day in 2014, Heart’s Ann and Nancy Wilson launched a two-day auction of more than 175 items spanning their career. A portion of the proceeds went to the Crohn’s & Colitis Foundation of America (Ann’s son has Crohn’s) and MusiCares. On this day in 2016, Montreal-born poet/singer/songwriter Leonard Cohen died at age 82 following a fall in his L.A. home. 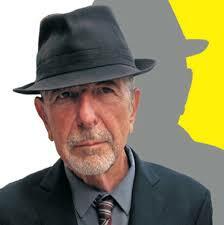 For six decades, Cohen revealed his soul to the world through poetry and song. The 1984 tune he is best remembered for “Hallelujah” which had limited initial success, but eventually became one of the most performed numbers in American musical history. On this day in 2017, arranger/conductor Robert De Cormier, who arranged for a wide range of artists including Harry Belafonte and Peter, Paul and Mary, and also worked with Milt Okun, died at age 95. Also in 2017, Elton John hosted a gala in New York City to commemorate the 25th anniversary of his AIDS foundation. The event raised $4 million. Actress Judy Parfitt (Call the Midwife, ER, Jewel in the Crown) is 83. Actor Barry Newman (Petrocelli, Nightingales, The OC) is 80. Former New York Yankee broadcaster/pitcher Jim Kaat is 80. Edmonton-born former actress Beverly Adams (wife of Vidal Sassoon) (No Place Like Home) is 78. Singer/producer Johnny Rivers is 76. Alberta-born singer-songwriter Joni Mitchell (see 1943 above) is 75. Seattle-born actor John Aylward (ER, West Wing, The Practice, Family Law) is 72. Actor James Houghton (Knots Landing, The Colbys, Code R) is 70. TV baseball broadcaster/former manager/catcher Buck Martinez is 70. Actress Lindsay Duncan (The Honourable Woman) is 68. Producer/writer/MSNBC host Lawrence O’Donnell is 67. Comedienne Judy Tenuta (The Wierd Al Show, Hollywood Squares) is 62. Actor Christopher Knight (The Brady Bunch, Another World) is 61. Actor Todd McKee (Santa Barbara, The Bold & the Beautiful) is 55. Country singer Robin Lee (Black Velvet) is 55. Actor Michael Papajohn (Nashville, Category 5, Bering Sea Beast) is 54. Actress Shannon Whirry (Mike Hammer Private Eye) is 54. Singer/actress Sandra ‘Pepa’ Denton (Let’s Talk About Pep, Oz) is 54. Actress Troy Byer (Dynasty, Murder One) is 54. TV host/actress Lisa Canning (Ent. Tonight, Dancing w/Stars, General Hospital, Young & the Restless) is 52. Actor Billy Gallo (General Hospital. Second Chance, Who’s the Boss?) is 52. Actress Julie Pinson (Port Charles, As The World Turns, Days of Our Lives) is 51. Guitarist Greg Tribbett of Mudvayne is 50. Actress Michelle Clunie (Queer as Folk) is 49. Writer/producer/director Morgan Spurlock (Inside Man, 30 Days) is 48. Actor Christopher Daniel Barnes (Malcolm & Eddie, Spiderman, Starman) is 46. Actors Jeremy and Jason London (Seventh Heaven, Party of Five) are 46. Actress Yunjin Kim (Lost) is 45. Toronto-born actress/TV personality Melyssa Ford (Black Poker Stars Invitational, Blood Sweat & Heels) is 42. Actor Adam Campbell (Mixology, Harper’s Islamd) is 38. Actor Rick Malambri (The Lying Game, After the Fall) is 36. Actor Adam Devine (Penn Zero: Part-Time Hero, Uncle Grandpa, Workaholics, Modern Family) is 35. Guitarist Zach Myers of Shinedown is 35. Actor Preston Vanderslice (Destination Wedding, Mr. Write, Love By Chance) is 33. Actor Lucas Neff (Raising Hope) is 33. Actress Rachele Brooke Smith (Project: Phoenix) is 31. Fox News reporter/former ‘Imus in the Morning’ production assistant Carley Shimkus is 31. Rapper Tinie Tempah is 30. Actress Sophia Taylor Ali (Faking It) is 23. New Zealand singer/songwriter Lorde is 22.